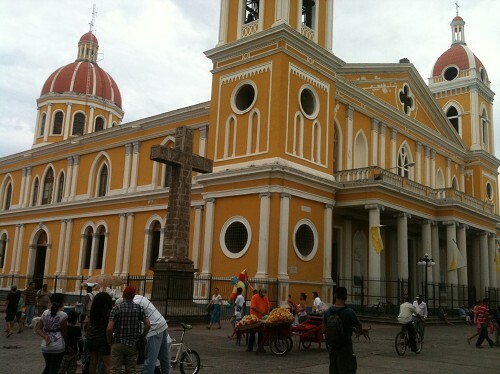 The beautiful colonial city of Granada is doubtless one of the most appealing tourist destinations in Latin America. 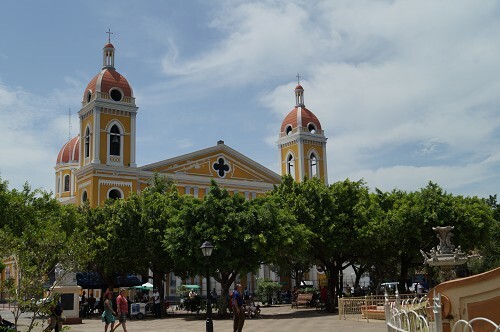 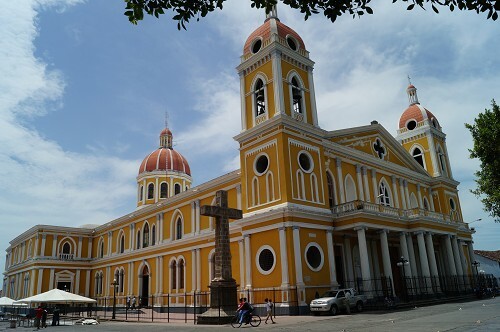 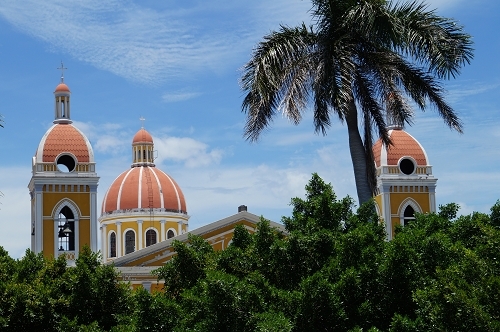 The luminous Granada Cathedral is one of the most notable buildings of Granada, Nicaragua. 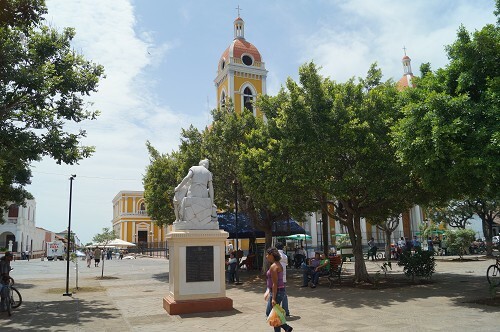 it is located on the east side of the plaza in the center of the town. 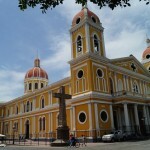 This magnifiscent mustard-colored neoclassical building was originally built in 1583 but has been destroyed and rebuilt several times. 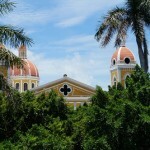 The most recent version, built in 1915, features three naves, four chapels and extensive stained glass windows. 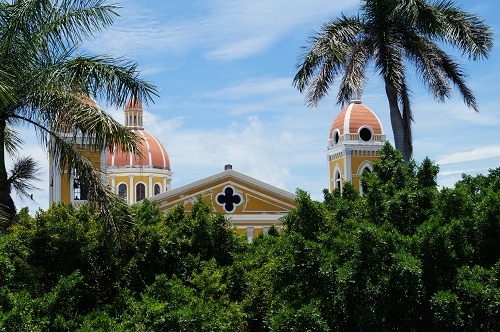 It is worth stopping in to wander the hallways and admire the beautiful architecture of the building. 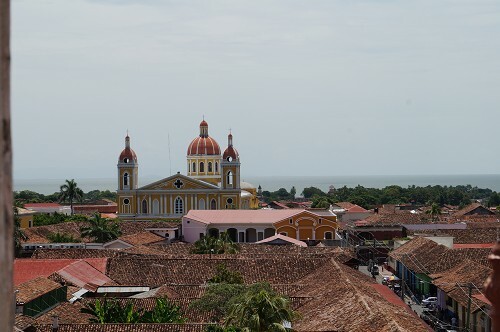 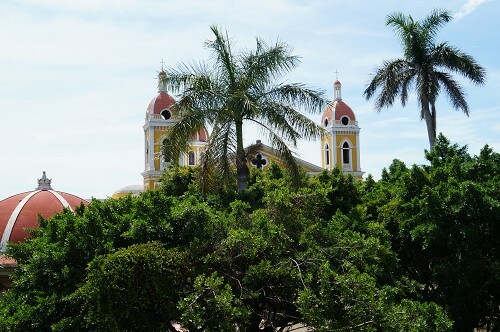 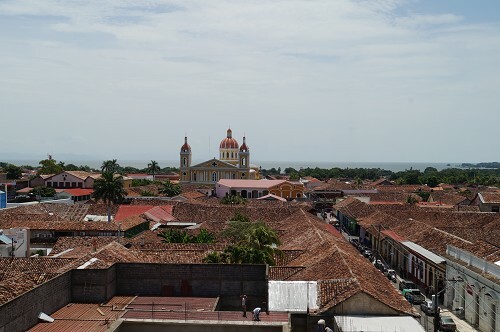 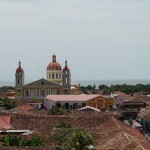 A must-see in Granada, Nicaragua! 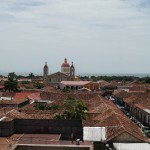 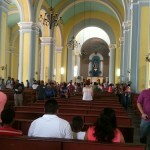 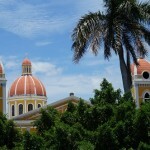 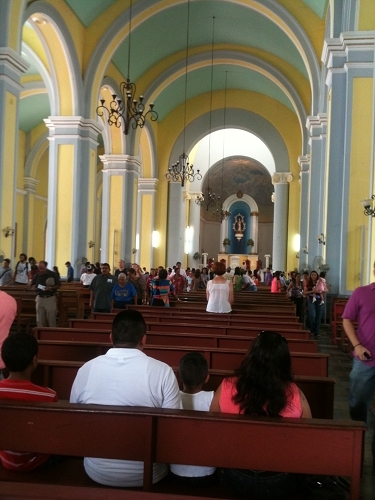 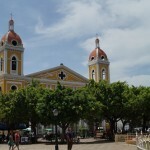 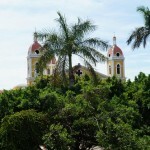 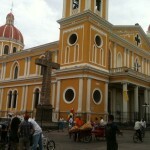 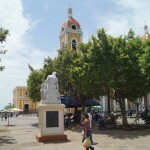 Share the post "Granada Cathedral, Nicaragua"